Venturing into the majestic archipelago and breathtaking raw nature of Raja Ampat could possibly be the best thing you could do for yourself after working so hard for the entire year. Raja Ampat is dubbed the last paradise on earth with its sublime scenery of jungle-covered islands, floating islets, fine beaches, hidden lagoons, and crystal clear turquoise waters. It is also home to the most exotic and mesmerising coral reefs and marine life – making it a true divers’ paradise. The Raja Ampat islands are located off the northwest tip of Bird’s Head Peninsula in West Papua, comprising several main islands including Misool, Waigeo, Batanta, Kri and Salawati. 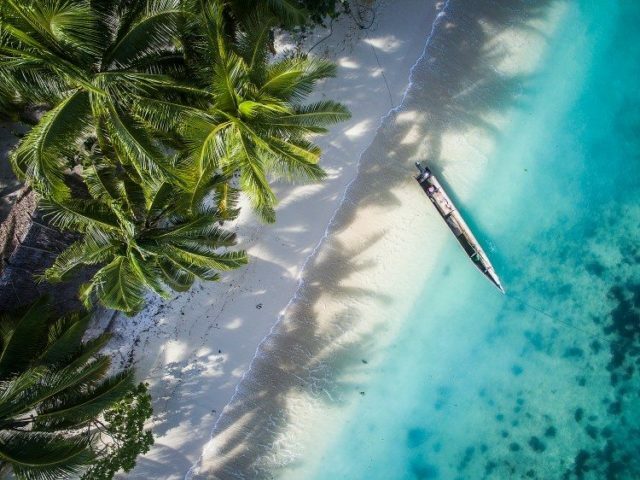 And hidden within these islands are unique resorts that champion a sustainable and an eco-centric philosophy – each plays a part in maintaining a healthy ecosystem in Raja Ampat. In fact, the whole tourism scene here follows a strict and elaborate ecotourism concept. 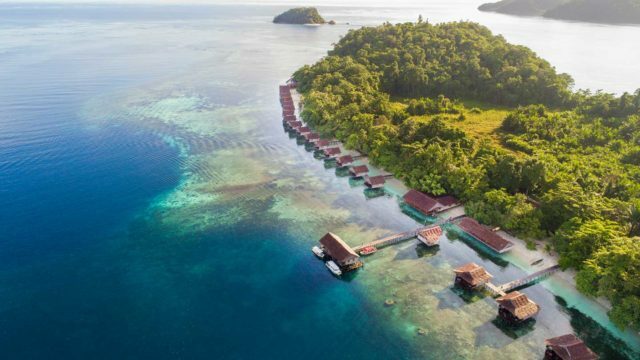 This ongoing effort to keep the islands at its best has been happening for years with Misool Eco Resort taking the helm as the only high-end luxury resort in Indonesia (and Raja Ampat) to have a Green Pearls rating. Green Pearls is a platform that helps showcase the best in sustainable tourism with facilities and learning centres to help guests understand the underwater world better. And if you’re coming to spend the entire week diving and indulging in nature’s best, you’ll be able to do it responsibly and help do your little part in taking care the marine life. Misool Eco Resort has also established the Misool Foundation to help protect the reef and sea creatures in the area, which include baby sharks, turtles, manta rays and coral. The foundation also employs local rangers to patrol every day of the year, looking after an area almost twice the size of Singapore island. 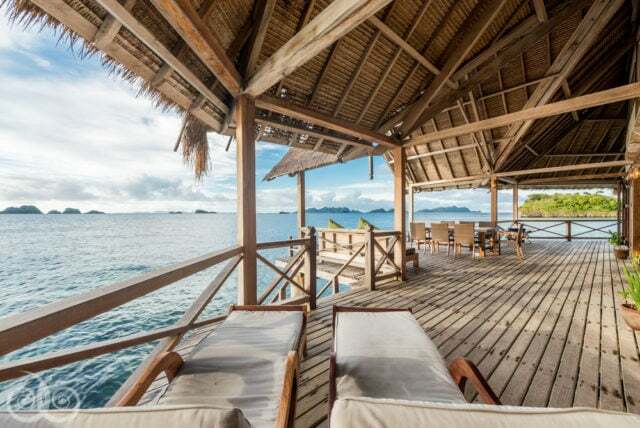 So if you’re looking for somewhere meaningful to go to for your next holiday, consider these five eco resorts in the most beautiful and magical Indonesian paradise of Raja Ampat. Kri Eco Resort delivers a truly close-to-nature feel with true Papuan hospitality that stays with you years after. The resort is built using locally sourced and low-impact materials – each shaped and equipped to withstand the tropical climate and natural forces of the coastal area. Its architecture is inspired by the local vernacular blueprint with a very tropical ambience to boot. All 13 rooms feature no-frills minimalistic design to facilitate one’s appreciation Walk out from your room to enjoy the breathtaking views of sunrise and sunset in the various overwater spots that have been curated specially for guests. If you’re lucky, try and spot some exotic wildlife including tropical birds like lorikeets, paradise kingfishers and cockatoos, furry marsupial cuscus as well as the tree kangaroo or sugar glider. 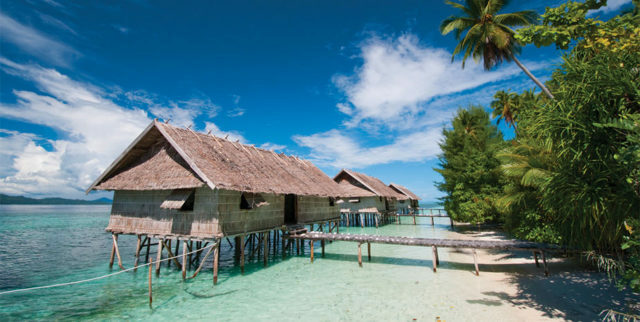 Papua Paradise Eco Resort has 26 water bungalows that are built on stilts using locally sourced traditional materials. The spacious verandahs overlook the horizon on the Pacific Ocean – ensuring uninterrupted vistas of the sunrise and sunset. Papua Paradise is also one of the very few PADI-certified diving resorts in Raja Ampat with local dive guides that assure a breadth of knowledge of all the diving sites in the islands. Check out the schooling manta rays and the coral reef slopes that are home to colourful species of fishes. If you’re not into water activities, head out for its bird watching tours to find some of Raja Ampat’s rare bird species like the Wilson’s Bird of Paradise, Bruijn’s Brushturkey and Red Bird of Paradise. If you’re set for a holistic holiday experience, which involves some sort of education, Raja Ampat Biodiversity Resort is your top choice. The resort stretches across the Raja Ampat beach features traditional Papuan-style huts that are perfect for the tropical weather. These huts are built by local craftsmen using sustainably sourced materials and they blend seamlessly with the natural surroundings. 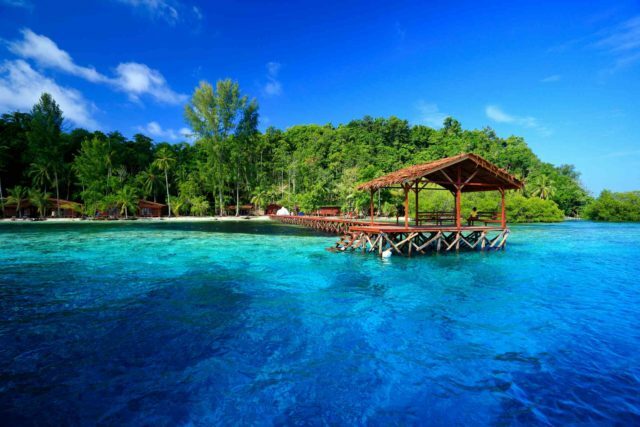 Raja Ampat Biodiversity Resort, located on Gam Island at the heart of the Dampier Strait, also comes with a diving centre in its main premise. There are also boats to rent if guests want to venture out to more remote areas around the island. Experience the fascinating local life by wandering around the nearby villages or chill at the beautiful beach fronting stunning sea views. Cove Eco Resort is located on Yeben island, overlooking the panoramic vista of pellucid waters and the beautiful underwater coral reefs that can be enjoyed from the overwater villas as well. The villas are built by local craftsmen with sustainable natural materials collected from neighbouring villages. Besides diving and kayaking, guests can go one various excursions to check out the hidden bays and the glorious archipelago where one can go hiking, bird watching or swim in warm lagoons amidst the untouched natural surrounding. Head out to the jetty for the best pictures best taken during sunsets. Misool is located in one of the most remote parts of Raja Ampat, a true tropical hideaway in the archipelago’s uninhabited island. The resort island is fringed with pristine white beaches and coral reef. Misool is designed with comfort, privacy and sustainability in mind; built entirely using reclaimed tropical hardwood milled on site by local craftsmen. There are eight luxurious overwater cottages, four larger villas on the north lagoon (best for families) and seven beach villas overlooking the blue waters. The views from the verandahs and rooms transport you to a whole new world accompanied by the best nature have to offer. Besides diving and learning about the marine ecosystem here (Misool is the only high-end resort in Indonesia with Green Pearls rating), come here for its wellness offerings including the signature spa treatments using local ingredients and traditional massage techniques.